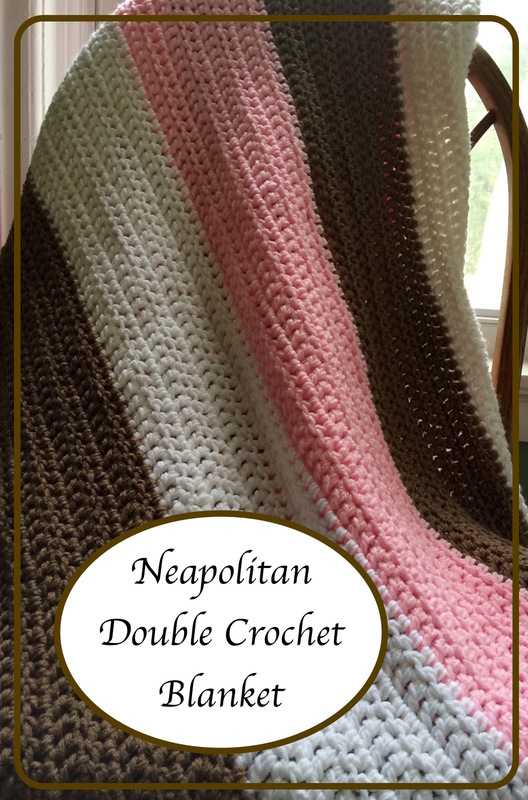 I think my favorite crochet blanket to make is a striped, chunky double crochet blanket. It's quick, easy and I love the result. Here's the latest one I worked on. As a reminder, to achieve the chunky look, I use a larger hook and crochet with two strands of yarn together. It's such a simple design but I love the simplicity of it. Double crochet is such an easy stitch, but you can do so much with it. As I've said in the past, I learned to crochet using YouTube tutorials and I am so very grateful for the people who put out videos to learn new skills. Who needs to pay for classes when everything is free on the internet!?! Well, I suppose you do need to be discerning for some things, but I say if you can learn a skill that's a win in my book! For the stripes on this blanket, I crocheted 8 rows of each color. This made for a nice wide stripe. I do like most any size stripe, but for this I was thinking of the box of ice cream and I thought the wider stripes gave it that feel. To make one of these for yourself, simply chain until you reach the desired width of your blanket. then, skipping the first chain, double crochet into each chain, repeating until you change colors. Then continue, repeating the pattern until you get to the desired length. I purchased my yarn at Walmart for less than $6 per skein for the jumbo skeins. You will need a total of two skeins for each color, or one jumbo skein and one regular sized skein. Results may vary based on the tightness of your stitch. 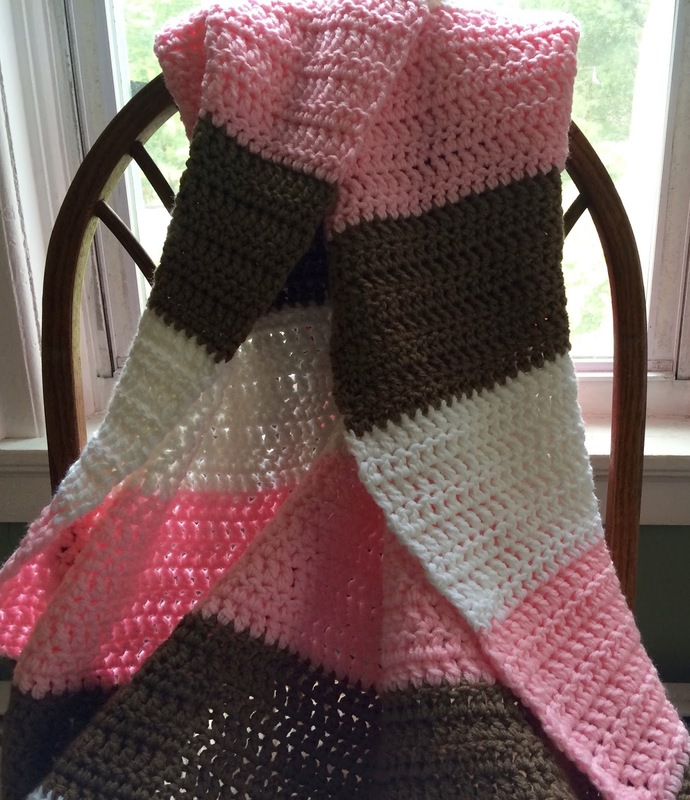 Click here for instructions on how to crochet a blanket just like this!